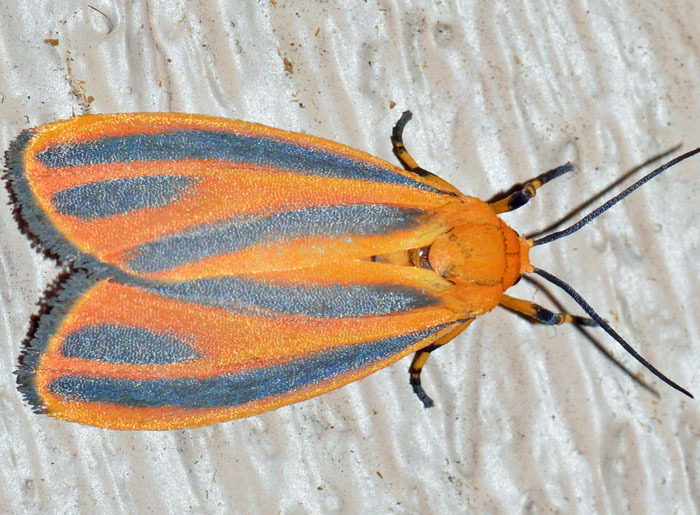 Hypoprepia fucosa - Hodges#8090 (Painted Lichen Moth). Size: approx. 15 mm. Photo: 08/18/14, 9 pm. 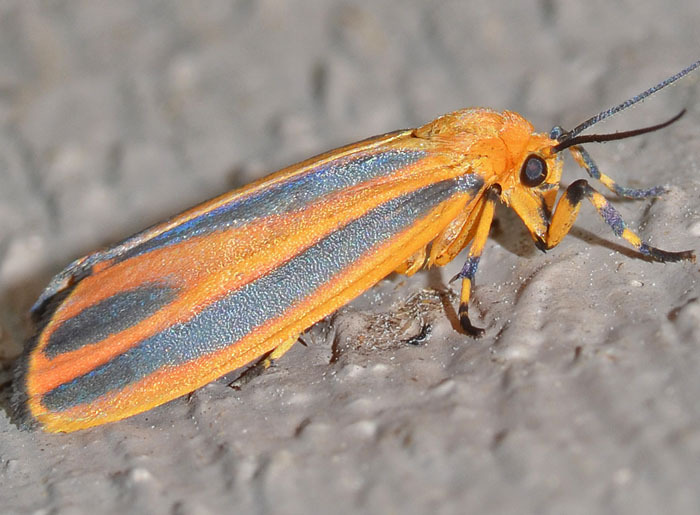 This beautiful, reddish-orange moth is the Painted Lichen Moth. The dark stripes are a characteristic pattern for this species. It lives in wooded areas and the nocturnal adults come to light. The spiky, black and yellow caterpillars feed on moss and lichen on trees.